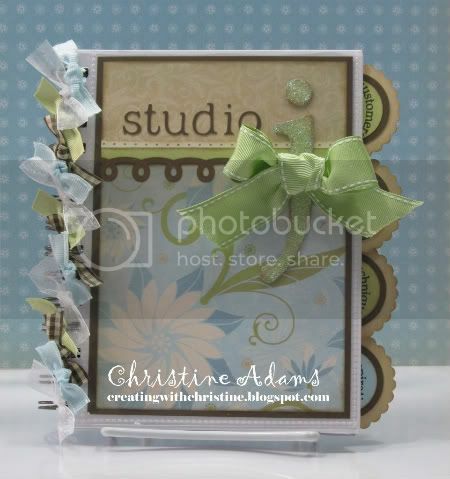 Creating with Christine: Studio J Boot Camp! I'm off on a jet plane to spend two full days of intensive training in Studio J! I can't wait!! Every event Close To My Heart hosts is "top notch"! I know I will learn a great deal, surrounded by the best in the industry, in a fun filled environment too! I just couldn't ask for more! I'm sharing a room with 3 new people! (I hope they like me!) I've made them each a Studio J journal as a roomie gift. When I return, I'll be able to share many of the advanced techniques with you. Why don't you join me for the next session of the Studio J Master's Society at Panera Bread on Saturday, May 14th from 2pm to 4pm. Hope to see you there!